Here at Booze Nerds HQ, cobbler shakers are our workhorses. We find them more convenient than Boston shakers, which tend to leak more and require more overhead to make/break the seal. For a home bar, that’s kinda a deal breaker for us, and no one’s watching us mix anyhow so we just don’t need to be that cool 🙂 However, Boston shakers do come in handy if you’re frequently making doubles of larger drinks or need to capture smoke. So they’re good to have around. 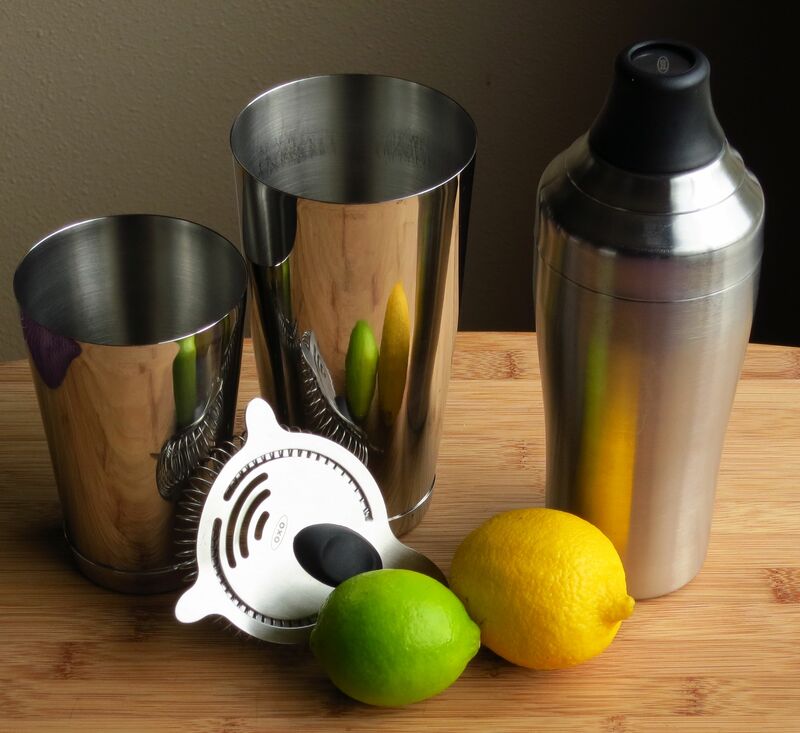 However, the Boston shaker we had was not the best, so recently when we were placing an order with Cocktail Kingdom, we decided to pick up a Koriko shaker from Japan. They did a good job of selling us with their ad copy 🙂 It’s a very attractive shaker, being all stainless, and we liked that they supposedly sealed really well (they do indeed, now that we have one and have played with it). With our new shaker in hand, we were curious if the Boston style worked better at really integrating ingredients than our Oxo shaker, which is a cobbler style. Read on to find out what we discovered. 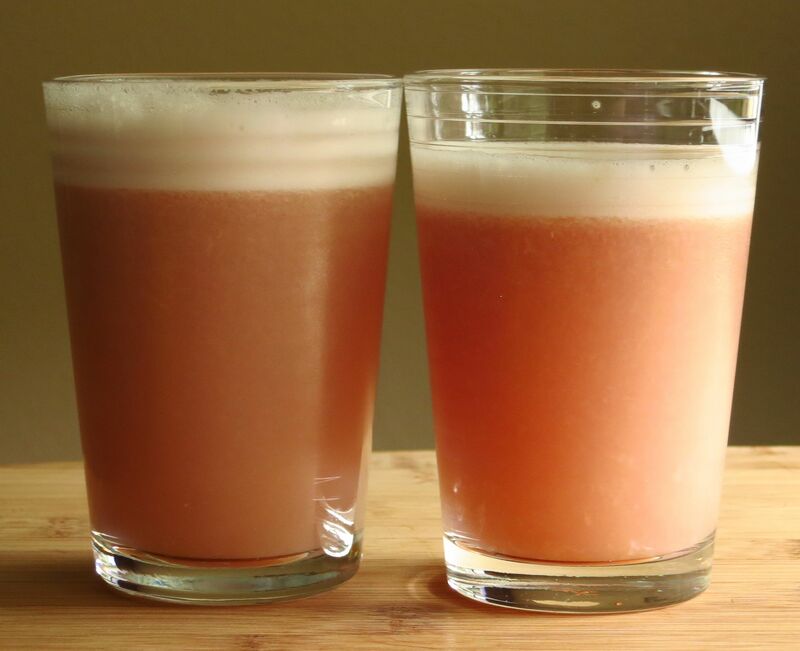 We decided to try a Pink Lady and a Pina Colada for our shaker testing. Since the Pink Lady is a sour, it needs a lot of strong shaking to froth the egg white, and the coconut in the Pina Colada makes it a good test to see how a shaker does with emulsification. Since we tend to have our Pina Coladas straight up (no crushed ice), they look prettier when well-emulsified and not starting to separate. We started with the sour to see how the shaker handled making an egg white foam. Dry shake for ~20 seconds. Add ice, shake for 20 seconds longer. Strain into a glass. Add a few drops of cherry bitters on top. Note: We sweetened up the Pink Lady some as we find it a bit dry for our palates. Which is impressive seen as we tend to like drier cocktails. 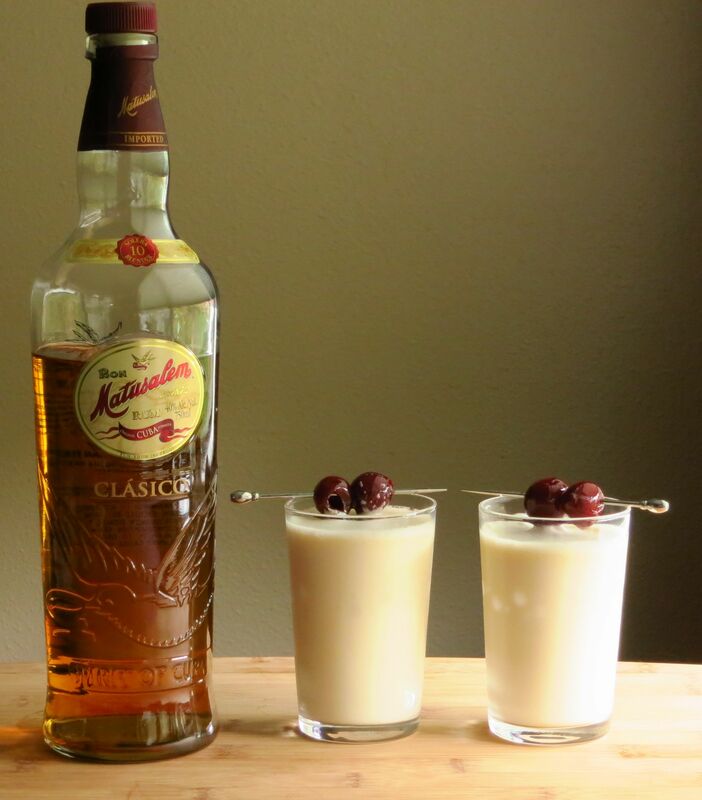 We also added bitters, which are traditional with sours but weren’t called for with this recipe. 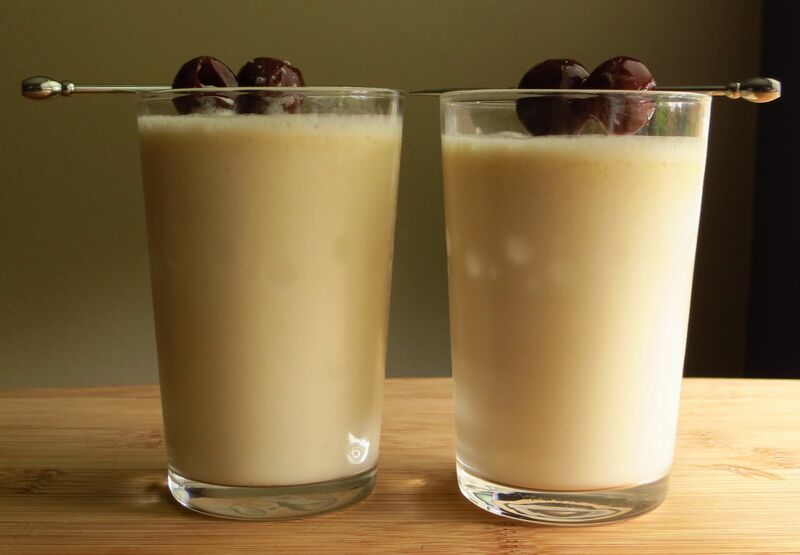 The one shaken in the Koriko is on the left and the one shaken in the Oxo is on the right. Nose: Mostly cherry bitters, with very faint notes of the other components. Much fainter than the drink mixed in the Oxo. Palate: Starts with the gin botanicals along with berry notes. Clear apple and lemon notes on the mid-palate into the finish, which is dry and slightly astringent from the egg proteins. Foam is thicker than with the Oxo, with a slightly lighter mouth feel. It is better integrated, and the thicker foam means you get a bit more foam with each sip. Nose: Mostly cherry bitters, little bit of lemon, apple and juniper. Stronger fragrance than with the Koriko. Palate: The foam is thinner, and the drink has a slightly heavier mouth feel. The flavor is identical otherwise. One downside we’ve noticed with making sours in cobbler shakers is that foaming egg white tends to cause the shaker to pop open and leak unless you release the top half way through shaking. The Koriko on the other hand held its seal like a champ. So if you want to make a sour, a Boston-style shaker may be a better bet. Another reason to keep a good one around. Vigorously shake all three ingredients with ice. Strain into a glass. Garnish with a cherry. Palate: Lighter mouth feel and more integrated flavors, with less of a bite from the rum. Lovely creamy caramel and vanilla from the rum at the front, then a little bit of fruit and tartness on the mid-palate from the pineapple. The finish smooths out into lots of creamy coconut. Nose: Coconut, pineapple and rum, though slightly more pronounced than with the Koriko (same as with the Pink Lady). Palate: Tastes the same as the Koriko. Heavier, creamier mouthfeel, plus a little more burn from the rum. Once again the one made in the Koriko is on the left and the one made in the Oxo is on the right. Oxo – started separating at ~5 minutes and by 15 minutes was separated about halfway down the glass. Koriko – at 15 minutes, still only had slight separation with the top 1/6th starting the separate. 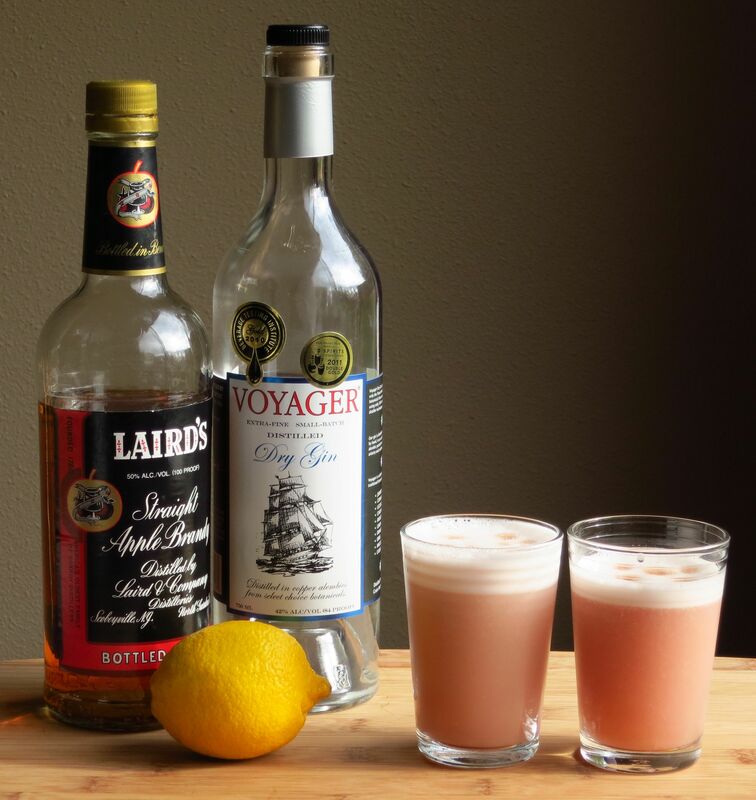 This entry was posted in apple brandy, Bar Tools, Cocktail Comparisons, gin, rum and tagged koriko shaker, laird's straight apple brandy, oxo cobbler shaker, Pacific Distillery Voyager Gin, pina colada cocktail recipe, pink lady cocktail recipe. Bookmark the permalink. My bar uses the Koriko shakers pretty exclusively after a couple mishaps with Boston shakers…needless to say, breaking a Boston shaker on a concrete counter doesn’t end well. I’ve played with cobbler shakers, but have had trouble keeping them sealed and not making a huge mess. They also seem slightly harder to clean because of the shape of the cap, but that might also be in my head. I use Koriko tins for the site and OxO jiggers, strainers, and muddlers. They are both fine tools but I do love my Koriko tins. Great article. Nothing wrong with a good cobbler. Funny. We’re pretty much an Oxo shop as well. But agreed that the Koriko tins are nice.